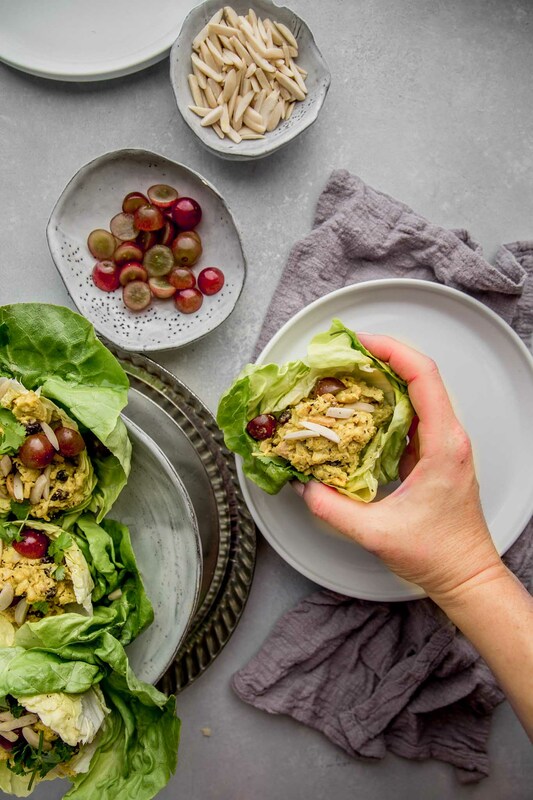 Curry Chicken Salad Lettuce Wraps can be assembled in just 5-minutes and with 4-ingredients, making them the perfect solution for busy weeknight dinners or meal prep. Guys, I won at dinner last night. Not only did I not have to drive to the store, but also, dinner took me all of five minutes to prepare. Meaning I got to spend the rest of my free time photographing this yummy dish – Curry Chicken Salad Lettuce Wraps. I placed an online order with InstaCart. They delivered all my ingredients from QFC right to my office. After work, I drove home and assembled these beauties in record time. 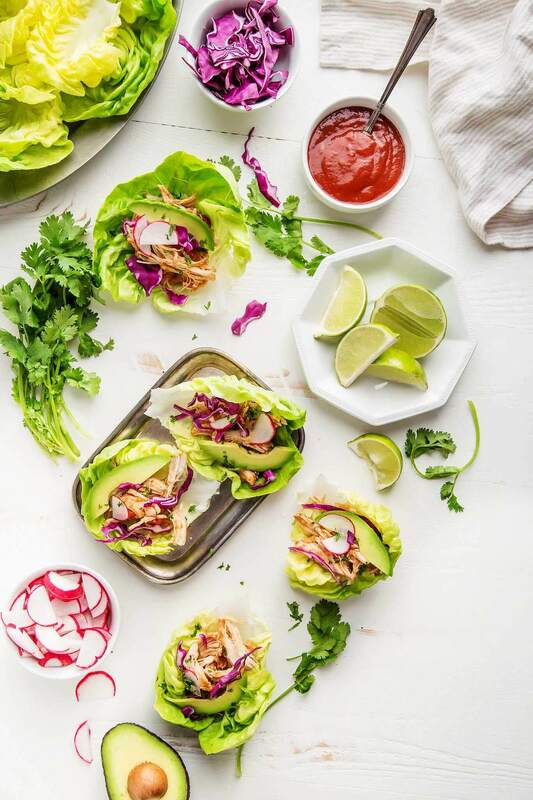 How do you make these Curry Chicken Salad Lettuce Wraps so fast? 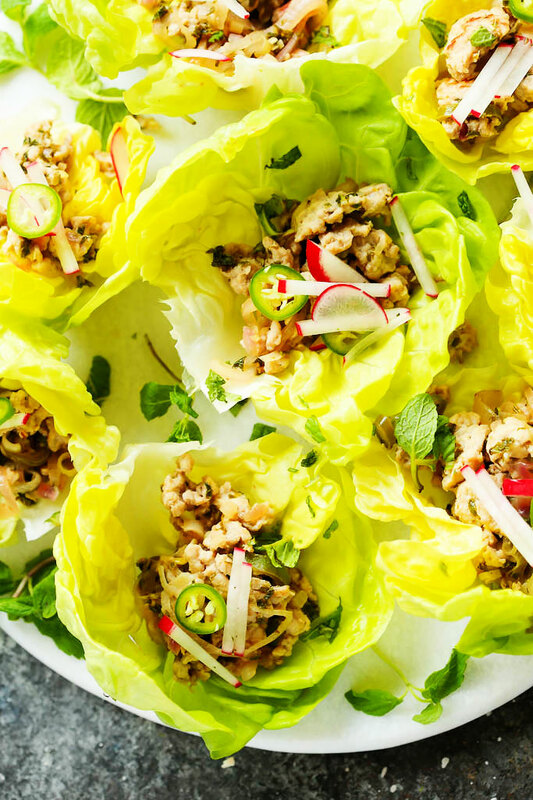 What else do you need to make Curry Chicken Salad Lettuce Wraps? I was able to purchase all the ingredients for under $20, and this recipe serves four, making each serving less than $5. 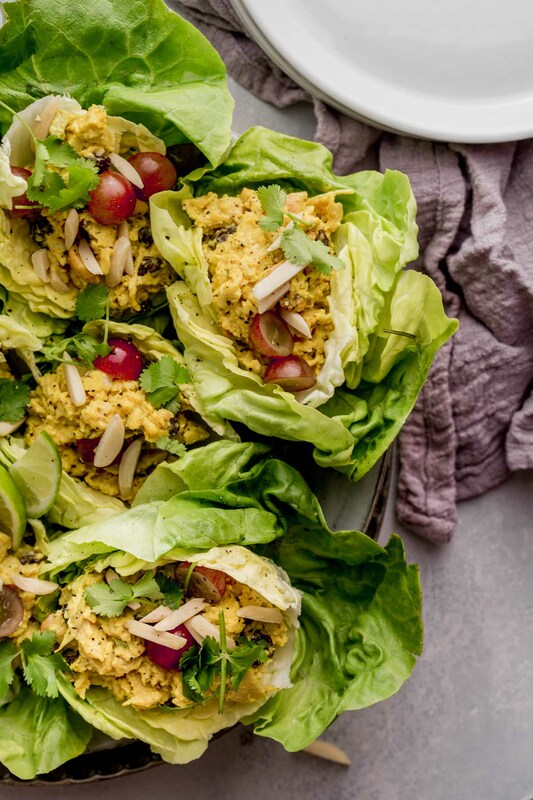 There’s only two of us in our family, but these Curry Chicken Salad Lettuce Wraps are also perfect for meal prep. I packed some along for lunch today too. Such a simple, protein-packed meal solution. Lemon Basil Chicken Salad – I’d top this with a bit of pesto, cherry tomatoes and goat cheese. Classic Dill Chicken Salad – Topped with diced pickles (or capers), a squeeze of lemon and feta. Apple, Walnut and Grape Chicken Salad would be amazing in red cabbage cups with cracked pepper. Of course, if you happen to have some leftover chicken on hand from this Easy Roasted Chicken recipe, by all means, make that chickens salad from scratch. 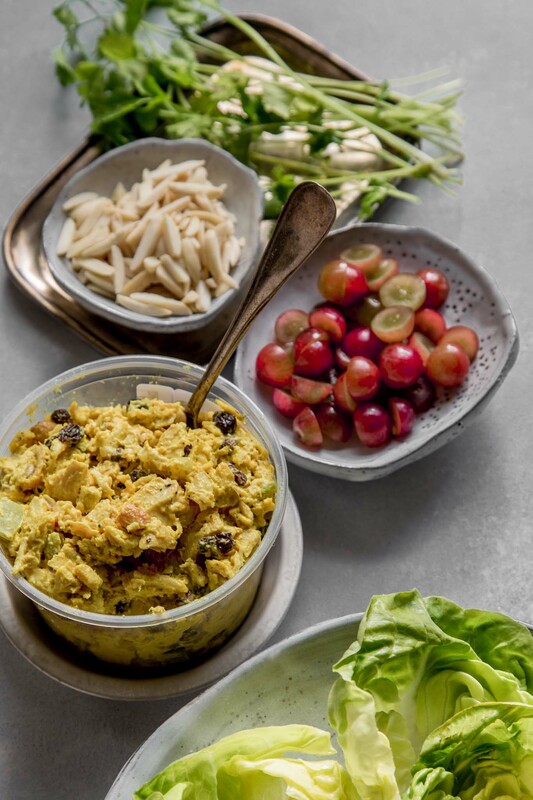 Here’s a great recipe for Curry Chicken Salad that’s very similar to the one I picked up at QFC. 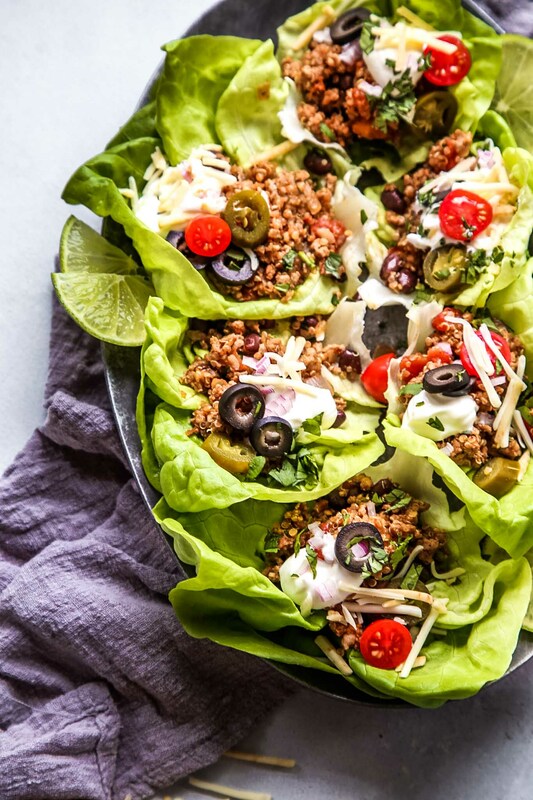 Regardless of whether you pick up some prepared chicken salad from the deli counter (or have it delivered), or if you make it from scratch, I guarantee that you’ll feel like you won at dinner to with these delicious, easy and budget-friendly Curry Chicken Lettuce Wraps. 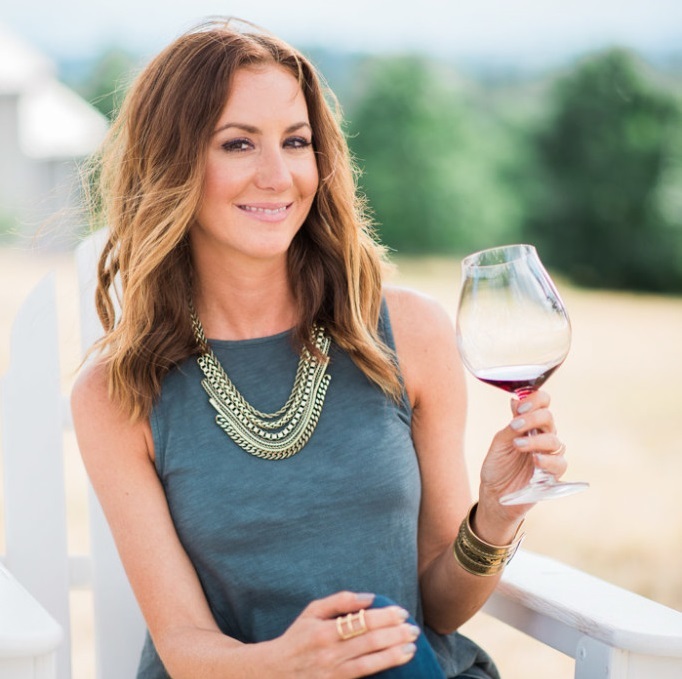 And in my book, winners deserve wine… Be sure to keep reading below for my suggestions on pairing wine with this dish. 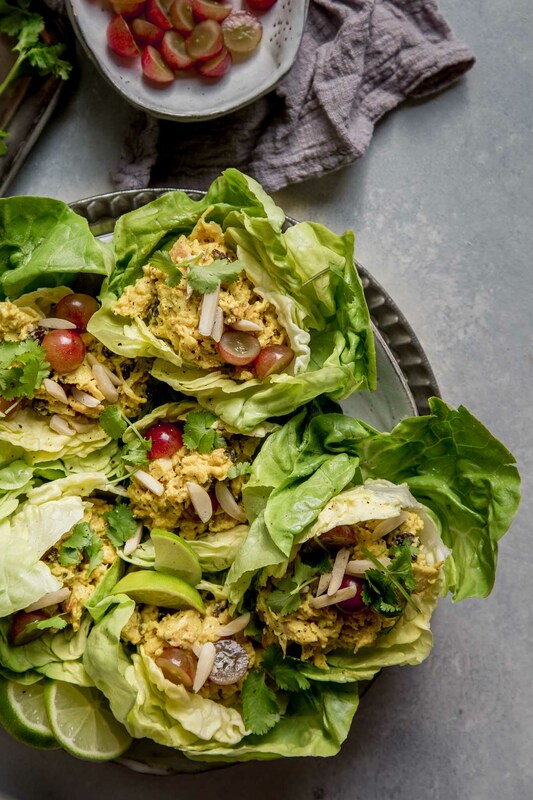 Scoop the curry chicken salad into lettuce cups and top with grapes and slivered almonds. 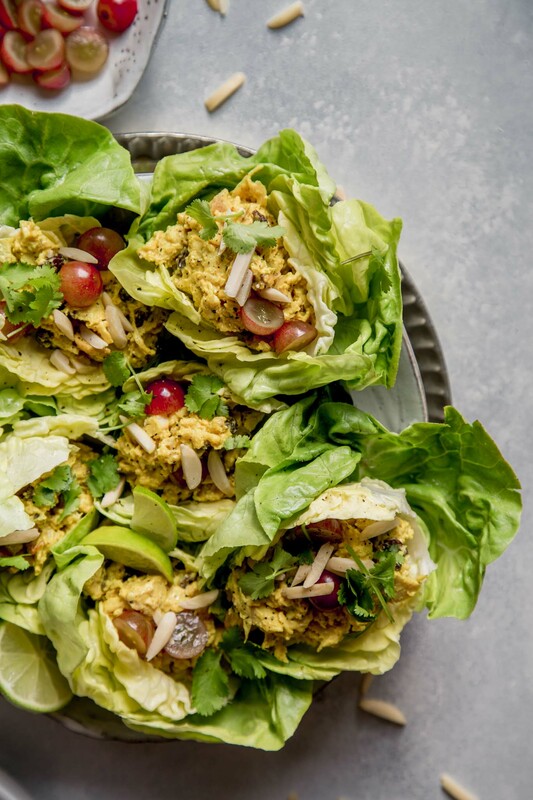 If you loved these Curry Chicken Salad Lettuce Wraps I would appreciate it so much if you would give this recipe a star review! Also, be sure to snap a picture of your finished dish and share it with me on Instagram using the hashtag #platingsandpairings and tagging me @platingsandpairings. A dry, fruity Rosé has a bright acidity that compliments the rich spices in this dish. An unoaked Chardonnay has the body to stand up to this creamy curry chicken salad. Yes – That would be a bit tough Mary 🙁 You probably have some leftover smoked chicken you can use though! Yum!